Quick Shortcut Maker Apk Download: We all know that smartphones are essesntial part of our life and we are very depend on them. Android is the king of operating system when its comes to the best operating system for smartphone. Because Android gives its users freedom to customize it according to their need. That is the reason that Android developers are coming with thousands of new apps daily. And it very difficult for users to stick to a few apps. They always want to install other applications to get better experience on their Android device. If anyone has an Android smartphone then its very possible that you there are a bunch of applications are installed on that smartphone. According to the study, it has come out that on an average, a normal phone consists of more than 15 applications. In those apps, there are some apps which we don’t use regularly and some are which we use frequently. Apps which we don’t use often remains untouched on your smartphone and because they are important and you can’t uninstall them you need to locate always your frequent apps every time. But what if you can seperate those frequently used apps from rarely used apps? Yes, it’s possible. 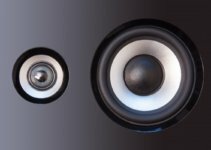 In this article, I am going to share about an app which let you seperate these apps according to your ease. This app name is Quick Shortcut Maker app which let you create shortcuts or widgets so that you can locate the apps that you use faster. 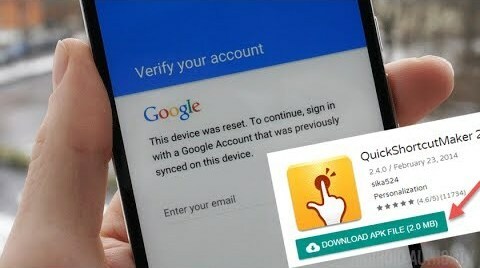 If you are using a samsung device and stuck at Google verify screen lock then you must download samsung bypass apk. 1 What is Quick Shortcut Maker Apk? 5 Is Quick Shortcut Maker APK safe to use? 6 Is Quick Shortcut Maker APK compatible with my device? 7 Is Quick Shortcut Maker Apk Supported on iPhone? Now you must be thinking that what is this Quick shortcut maker apk and why should I download it on my Android smartphone. Let me tell you that you can create shortcuts for different applications on your Android smartphone with the help of quick shortcut maker app. You can also make shortcuts from within the settings of apps. It’s not possible to make the shortcut of every application but it will work for most of the Android application no matter they are system inbuilt application or third party applications. Quick shortcut maker also lets you search for the app which you want to open on your Android smartphone. Quick shortcut maker apk is a very easy to use app which performs a simple act of creating the shortcut of different Android apps. As the name of the app mention that the main objective of this app is to create the shortcut of Android apps on the home screen of your Android smartphone. No matter whichever the app is, you can create the shortcut of any app easily by quick shortcut maker apk. So, if you want to create a shortcut for any social media app or any operating system app, quick shortcut maker apk downloader is the best solution for you. Quick shortcut makes allow you to create the shortcut of any app along with customizing it. Yes, you heard it right. The user can easily customize the shortcut of various apps by choosing an icon for the shortcut and setting a name to the shortcut. This feature helps you in finding any app quickly. 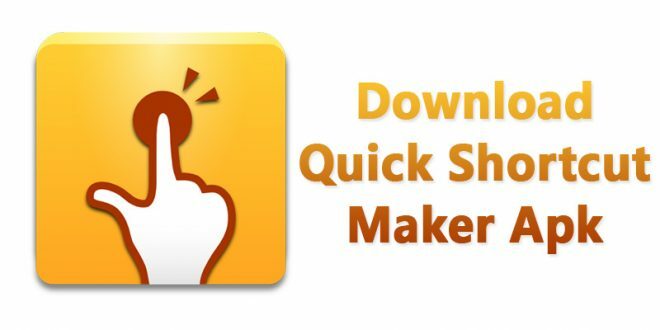 In this article, we have explained everything about Quick shortcut maker download. So, just keep reading ahead and you will get to know more amazing features of Quick shortcut maker app. Also, we have mentioned all the process by which you can download and install Quick shortcut maker apk 2.4.0 version on your Android smartphone. 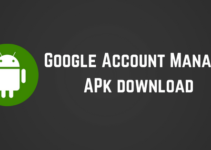 If you have an Android device which is stuck at Google Account Manager then you must try downloading google account manager apk. Do you try to know the features of any app which you are going to install on your Android smartphone? If no, then you must know about the feature of an app which you want to download and install on your smartphone. This saves you time by not trying every app again and again. Also, if you don’t like any app features then you can drop that app. That is why we are enlisiting some great features of Quick Shortcut Maker app for you so that you can decide if you want to download this app or not. Quick shortcut maker app lets you perform various actions on your Android smartphone. You can also download quick short cut maker apk from the Google Play Store for free but sometimes you need to download only apk file like when you need to do FRP Bypass. This way quick shortcut maker FRP unlock is another feature which you can use by quick shortcut maker app. Let’s enlist some amazing features of Quick Shortcut maker apk below. As we have mentioned earlier that the main feature of this apk is to create the shortcut icon of any application present in your Android smartphone. There are some hidden settings available in your which you can not access directly. But you can access them by creating a shortcut of those settings. Thus Quick shortcut maker app helps you unlock some features of your smartphone. The user interface of the quick shortcut maker app is very easy to understand and layout is attractive. You don’t have to navigate too much to use this app for creating the shortcut for apps. You can easily add the shortcut of an app to the home screen of your Android device and you can remove them also whenever you want. This apps does not consume too much space in your Android smartphone becuase its a light weight app of 2MB. 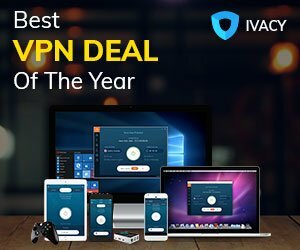 You can download this app for free of cost and you don’t have to pay a single penny to use this app. Quick shortcut maker app support all the android version from v1.6 and above it. So, if you have got an older android version device then you can use this app on your android device wihout having any issue. Now we hope, you are well aware with the features, so its time that we let you know about the download and installation process of Quick shortcut maker app. So, if you are satisfied with the features of this app then you may proceed further for downloading process of quick shortcut maker app. As we have mentioned earlier in this post that you can download this app from Google Play Store but sometimes you need to download apk file of the app. We are explaining both the methods below. 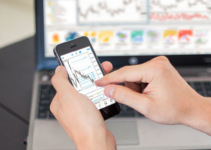 You can follow any of the methods and download quick shortcut maker app. If you want to download Quick shortcut maker app from the Google Play Store then you need to open applications drawer of your Android smartphone. Then open Google Play Store from there. Here, you will see a search bar, type ‘Quick Shortcut Maker’ and then click on search option. Now you will see a list of application. You just need to download the topmost application. Next, open it and click on install button. Now the app will start downloading and after downloading, it will start installing itself. Once the application has been installed, you can open it from the app menu drawer of your Android smartphone and use it. If you need to download Apk file of quick shortcut maker then you can follow the below process. We have explained it in very simple steps. At first, you need to quick shortcut maker apk download file, you can download it from the below button. Once you have downloaded the apk file then you need to make some changes on your Android smartphone’s settings. The Android operating system does not allow users to install any third party application. So you need to allow “Unknown Sources” in order to allow third party application installations. To do so, you need to go to the settings of your Android smartphone and then open security option from there. Here, you will see an option called “Unknown Sources” you need to enable it. Click on the enable button and now you are allowed to install any third party application on your Android smartphone. Now you can install the quick shortcut maker apk file which you just downloaded. Get back to the folder where you have downloaded the apk file and click on the apk file. Now you will get an option to install, just tap on install and then the installation process will be started. Once the app is installed, you will get a notification on your notification bar. You can click on that notifiction and then you will get two options named Done and Open. If you want to open the app now then you can click on Open and if you wish to open quick shortcut maker app later then you can open App drawer menu of your android smartphone and open the app from there. And its done. You have succcessfully installed quick shortcut maker apk file on your Android smartphone. Now you can use this amazing app and create sortcut of different applications to get ease while operating your Android smartphone. Below we are answering some FAQs related to the Quick shortcut maker, so if you have any question about the app then you can go through these questions and answers first. If you are trying to bypass FRP lock then this video can help you bypassing FRP lock with the help of Quick shortcut maker apk. This video will help you to know how to use quick shortcut maker to bypass FRP lock. Yes, quick shortcut maker app is fully safe to use. A large number of people around the world have used this app and they have found this app is very safe. This app does not contain any type so it won’t harm your device in any way like many other apps. Developers of this app made this app to help people so that they can easily create the shortcut of different apps which they frequently use. As we have already told earlier in this article that a quick shortcut maker app supports most of the Android version device. If you have a low-end Android smartphone then also you can download this app to create the shortcut of Android apps. You just need to install this app as long as your phone is running Android 1.6 and up. So if you have a device running Android 1.6 or above then you can easily install quick shortcut maker apk on your Android device. Is Quick Shortcut Maker Apk Supported on iPhone? The answer is No. You can not install Quick shortcut maker apk on iPhone as this app is made only for an Android operating system based device. If you want to download Quick shortcut maker app on your iOS device then you should look for any other alternative app. Moreover, you can use Quick shortcut maker app on PC by using bluestacks emualtor. So, this was our in-depth article about Quick shortcut maker apk. You can download this app by following any of the method described above. You don’t need to pay a single penny to install this awesome app. Quick shortcut maker is the best apps to create the shortcut of android applications. If you face any problem while downloading, installing or using Quick shortcut maker apk then you can ask us in the comment section. We would love to help you and solve your query as soon as possible.